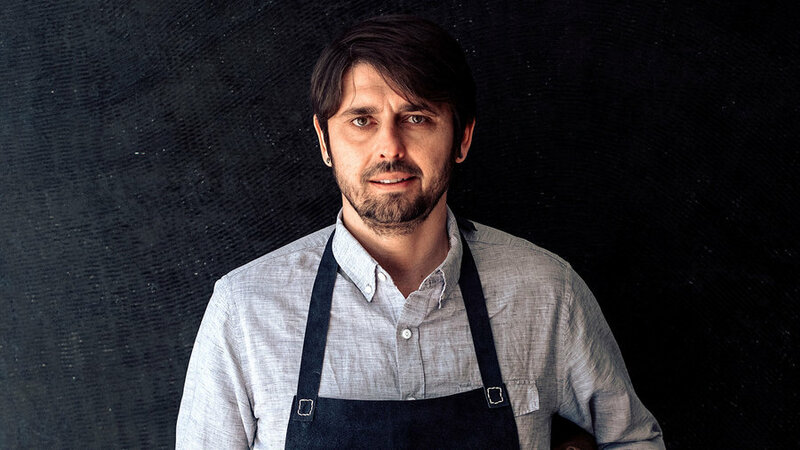 Trained in some of the finest restaurants in France, L.A. chef Ludo Lefebvre became a sensation when he launched the multi-city LudoBites, one of the first pop-up restaurants in the country. 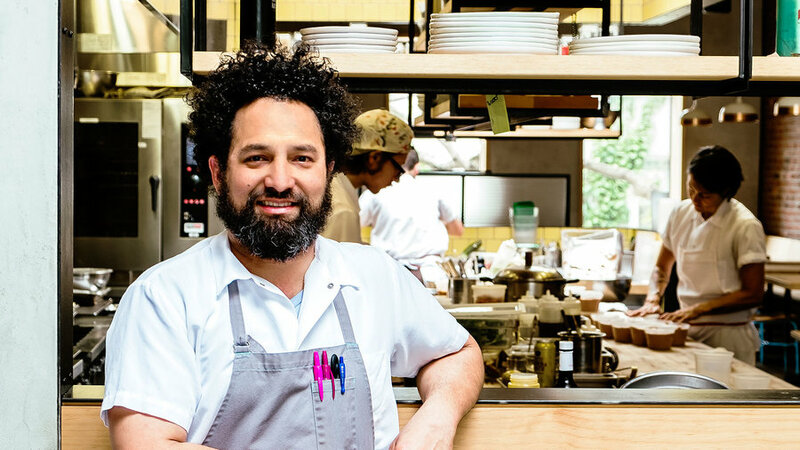 He now owns Trois Mec and Petit Trois, both in Hollywood. 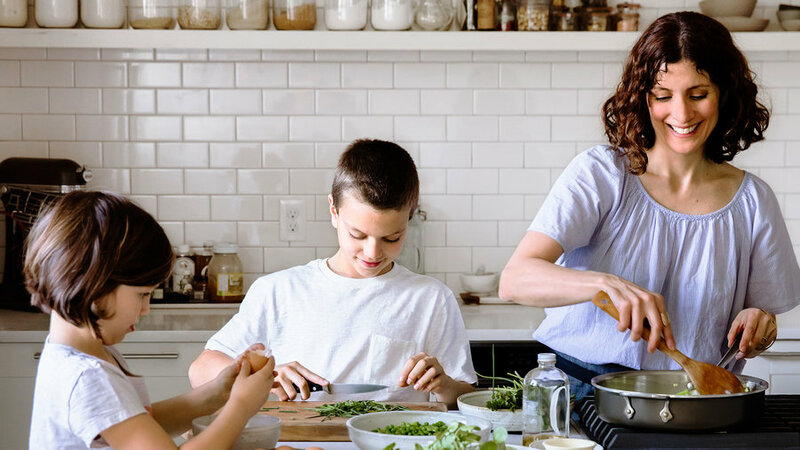 On TV, he’s starred in Iron Chef America, The Taste, and Ludo Bites America; in fall 2016, he’ll appear in season five of The Mind of a Chef. "When I have people over, I don’t overdo it. I want to spend time with my guests, so I cook simple food. 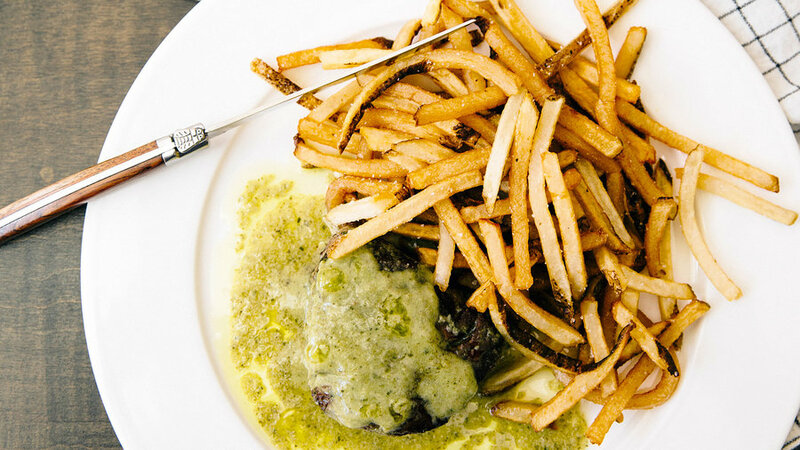 Steak frites is a classic French dish that I grew up with. My mom would make it on Saturdays for lunch, sometimes for guests too, and she would go to the butcher for rumsteak, from the Charolais. It’s a cow with no fat, and the meat is a little chewy. The butcher would age the meat, and most of the time we wouldn’t even use salt because it was so good. My mom would do the frites too, hand-cut, imperfect. I loved that. When I opened Petit Trois, I wanted to have a steak frites like in my country, because I missed it so much. In America, you love the steak to be like butter, but it’s not my taste. I love this country, I love you guys, but sometimes you just don’t know! So I put rumsteak on the menu—and people said it was too chewy. So, now I use beef tenderloin. At the end of the day, it’s not about me. I want to please my customers. And you know what? I can love beef tenderloin too. The priority for steak is the crust, and a 6-ounce tenderloin you can sear like crazy and still have it medium-rare in the middle. For cooking the frites, nothing is better than clarified butter. It’s the flavor. You should see the faces of people when they eat these. Parsley on the frites? No! We don’t do that in France. We call that sabotage." You can use filet mignon for this recipe, but if you’re curious to try a steak that’s closer to what Lefebvre grew up eating in Burgundy—the chewy, flavorful rumsteak—try top round. Start the fries a day ahead and make the herb sauce ahead too, so that you’ll spend minimal time cooking once your guests arrive. And if you don’t have time to clarify butter, find it at a well-stocked grocery store or on amazon.com. 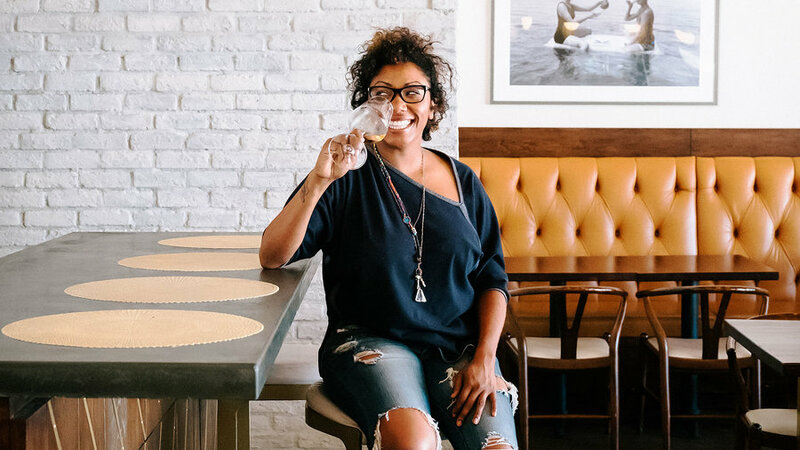 The chef at Leona in Venice Beach, California, and a former Top Chef competitor, Arrington gets inspired by local farmers’ markets and flavors from all over the world—including Korea, her grandmother’s homeland. "My grandparents lived about an hour from us when I was growing up in Los Angeles, and going to their house was a field day for me. My grandmother Ai-Soon was Korean—my grandpa met her during the war—and she was an amazing cook. I remember the smell of garlic thick in the air, and my grandmother’s incredible smile, and her short salt-and-pepper hair. I used to stand on the step stool next to her in the kitchen and cook with her. She’d make me and my sister peel and chop garlic for hours. At Leona, I love to do global mash-ups, and that’s how I came up with Korean latkes. I wanted something like a kimchi pancake, which my mother used to make, but a little crisper—and I realized potatoes could do that. And I loved the idea of crème fraîche or sour cream, traditional for latkes, to cool the heat of the kimchi. The kimchi recipe my grandmother taught me is the one we use at Leona today. She passed away a few years ago, but her memory lives in the food I cook. She’d fill up a whole bunch of urns with kimchi, which she made with oysters, and let it ferment. The flavor was epic. " 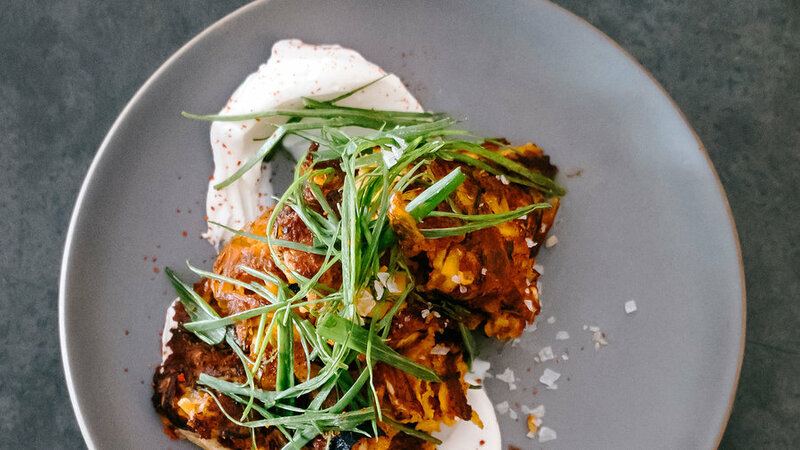 Nyesha Arrington serves these crisp-edged, gently spicy latkes for brunch at her Venice Beach restaurant, Leona. 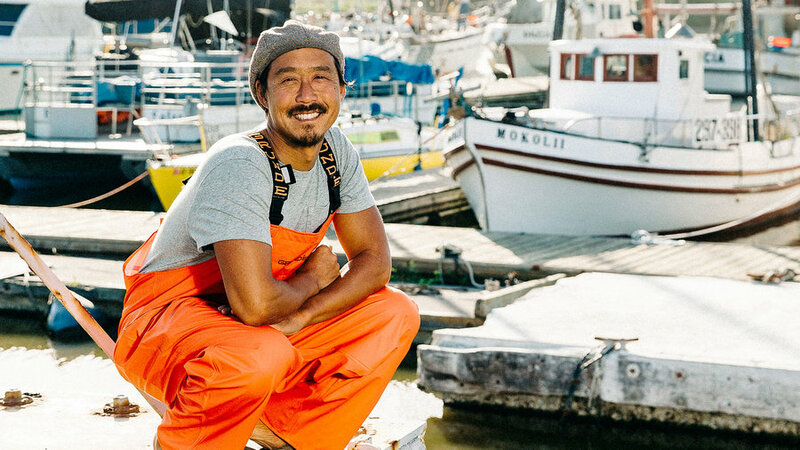 An Alaska fisherman and private chef, Wang owns The Gypsy Fish Company, which sells wild Bristol Bay salmon through goodeggs.com. "In the winter of 1996, I flew to Homer, Alaska, to help get a boat ready for the herring season out in the Bering Sea. I had just started dating a woman back in New York, and we were going to keep in touch by email. It was March, several degrees below freezing, with snow piled on the sides of the road and moose walking down the plow tracks. Every day, when the sun came up, my boss and I would work on the nets or fiddle with the boat. You could see your breath in the air. I was wearing insulated full-body coveralls, a hat, and gloves, but the cold bit into my feet and hands. As time went on, the woman I was dating started slipping away. It was a cold and lonely time. To warm myself up, I’d volunteer to make dinner. I had five or six go-to dishes that my mother used to make, and one of them was curry. I’d root around in the fridge and pull out whatever we had, start chopping, and let the heat of the spices warm the kitchen. It brought back my 5-year-old self stirring a pot of curry, while my mother chopped and added ingredients. Curry warms your bones and gets into your clothes. Hours later, on the couch in my sleeping bag, puffs of curried air would waft out whenever I’d turn over. Scent is so tied to memory; it can make you feel at home anywhere." Christopher Wang uses whatever he has on hand to make his curry; this is a summery version. 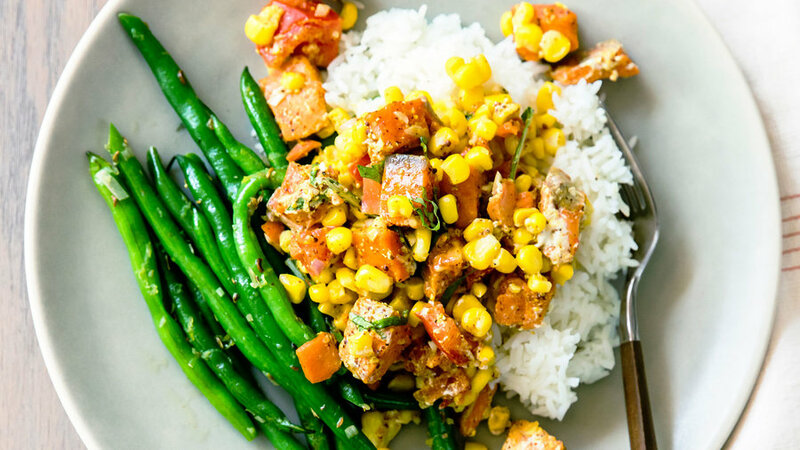 Serve with a green salad or Toasted Fennel Green Beans (pictured). Raised on Oahu, Ravi Kapur is the chef at Liholiho Yacht Club in San Francisco, nominated for a James Beard Award in 2016. 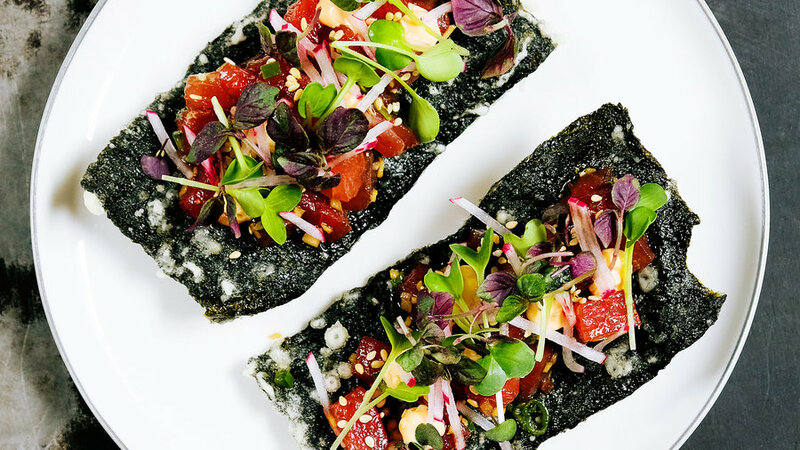 The restaurant’s name was inspired by the parties that his uncles—who lived on Liholiho Street—would throw on the beach to fund their Hobie Cat sailing. "When do I first remember eating poke? From the time I remember food, really. I’d go with my mom or dad to Tamashiro Market in Honolulu—it’s still there. It had tanks full of live fish, and the sellers would break them down for you right there. You’d see about half a dozen types of poke cut up and laid out in trays. It was always the best fish, and it went quick, because everyone bought it. Even at a young age, I started judging it, seeing which ones were already starting to cure. That shaped how I cook. Poke is celebratory, but also for every day. If you go to somebody’s house, you don’t ask, Can I bring something? You just bring something. And that is usually poke. You get to the house and it’s part of the pupus, the appetizers—things to share and snack on while you’re hanging out and talking story. It’s what I grew up with, and it has nostalgia and meaning for me. When I make it at Liholiho, I think, How do I remember it tasting? It’s like looking into a crystal ball of the past." or halibut too. He spoons the poke onto crunchy crackers made of nori seaweed (this is our take on them). You could also serve it with store-bought rice crackers. The author of the James Beard Award–nominated blog CannelleVanille.com and the book Small Plates and Sweet Treats, Goyoaga lives in Seattle but was born and raised in Spain’s Basque country. "I grew up in Amorebieta, a small town outside Bilbao, among hills and valleys. My parents lived in town, but my father’s parents grew vegetables—favas, beans, peas, leeks. In spring, my father’s car always smelled of dirt and leeks, from carrying them home. At least once a week, my mother would make menestra, a simple sautéed mix of whatever vegetables were fresh. My mother was the oldest of eight, and her parents had a bakery in town, where her whole family worked. My brothers and I would eat lunch there. We would walk from school and go behind the racks of pastries and through a door into the kitchen. It had a deep stone sink and a small gas stove, and a window onto an alleyway full of cats. A green table with an ugly oilcloth would get pulled into the center, but it wasn’t big enough, so they’d put little folding tables at either end. My mother would stand at the stove in her worn-out apron and make lunch in a rondeau used for pastry cream. For menestra, she would blanch the vegetables until they were tender. I never had al dente vegetables until I came to the United States. Then she made a roux, added leeks to soften, then the vegetables. The food never sat on the stove. We would be at the table and she’d dish it out to us. The conversations were big, about politics or running the bakery, and we all ate the same thing. Nothing for the kids only. You understood that you were part of the family and you had to come along. " When Aran Goyoaga’s mom made this dish, she’d create a velvety roux (flour browned in olive oil) to thicken the juices. Goyoaga is gluten-intolerant, so she uses crème fraîche to make her menestra silky. 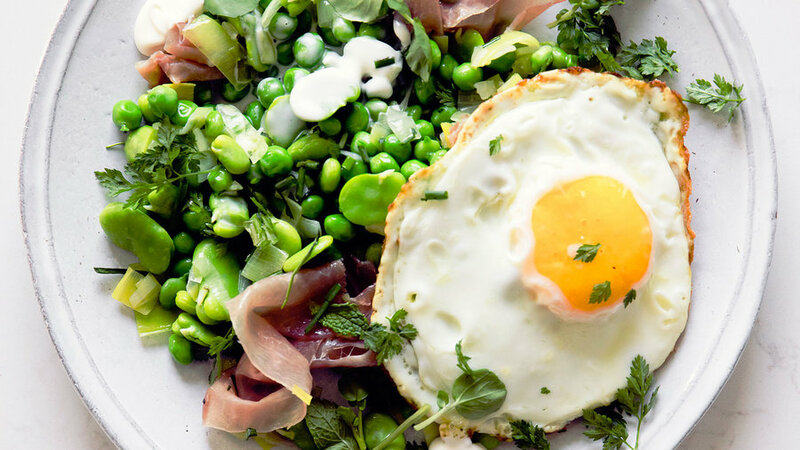 She then adds ham and eggs to make it a main dish. 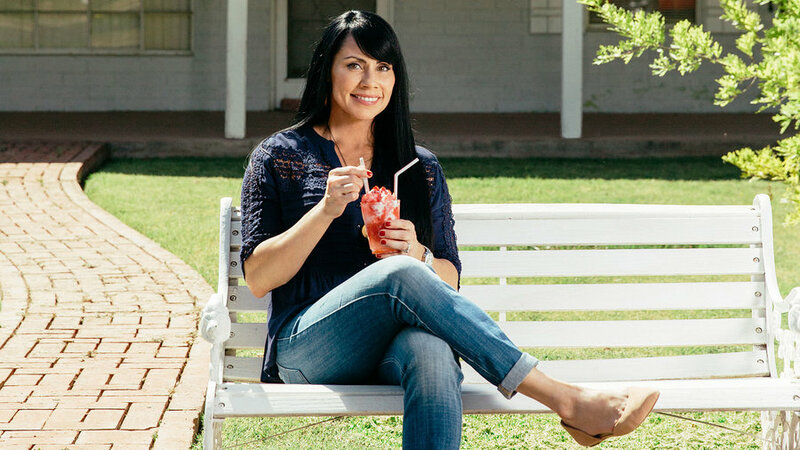 Born and raised in Mexico, Arizona blogger Ana Frias is the creator of MuyDelish.com, where she shares recipes from her heritage, cooked in a fresh, fun way. "I grew up in the desert, in Sonora, where it’s very hot. As soon as my friends and I would get out of school, we’d see the paleta man, the fruit man, and the raspado man outside. For me it was always raspado. The man would have his bicycle and little cart, with the different syrups made out of fresh fruit—tamarind, pineapple, strawberry—and a cooler of shaved ice. He’d put the ice in a plastic cup, pour syrup on it, put chunks of fruit on top, and sweetened condensed milk if you wanted it. I went to an all-girls Catholic school, and my friends and I would sit on the curb in our uniforms, under the trees, talking and eating our raspados while we waited to get picked up. Usually I would be one of the last, and I loved raspados because they didn’t melt as fast as paletas. I moved to the United States at 18, and I really missed raspados. Last year my husband and I went to Cozumel, and we saw a Catholic school, and outside there was a raspado man! “We’ve got to have some,” I told my husband. So we sat on the sidewalk and ate our raspados. Now I make my own, and it gives me back a little bit of my childhood. " Raspados are Mexican-style snow cones. To make the shaved ice, just whirl ice cubes in a food processor, 2 cups at a time, until the ice no longer makes a racket and looks like snow, with no lumps.